Oberon Mall is one of the largest shopping mall in Kerala which is a complete Urban entertainment shopping mall. Oberon Mall is spread in 350000 square feets with five floors.The important products brand and road transportation details are also added here. 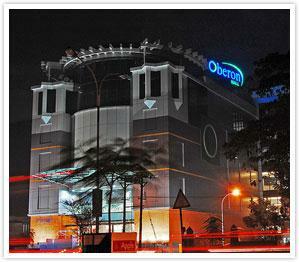 Oberon Mall is the largest Shopping mall in Kerala which is located in Kochi city. Oberon Mall is spread on an area of 350,000 square feet with 5 floors and it's building blocks are spread in 2 acres. This largest shopping mall was constructed by Oberon Group of Companies,India. A.K Prasanth is the one of Chief architect of the mall. The Mall started which started working on March 2,2009 was constructed at an expense of about 1 billion rupees. Shopping, entertaining, facilities for food etc are available here. So it is absolutely a family entertaining area as simply we can call it as Urban entertainment. The time shedule here is from 11.00am to 10.00pm. Peoples can purchase high class branded products from here according to their wish. Oberon Mall provides good user movement facilities like passageways,escalators,staircases and ramps. ATM facility is also available in ground floor. Adidas, Lee, lla, Mantra, Graffiti, Pepe Jeans, Pantaloons, Wrangler, Ted Lapidus, Firsbee, Zapp, Citizen, Rado, Tissot, Sony, HP, Smart Infocomm, VIP, Nike, Samsonite, Doc and Mark, Walk in MandB, Smart opticals. Drive towards Ernakulam,from Edapally junction proceed the left deviation from NH to NH Bye pass. Approximated distance from Edapally junction is 1.3 km. Drive aim as Ernakulam,From vettila junction go to right path to Edapally junction.Approximated distance from vyttila junction is 7.1 km. Drive towards Ernakulam,From Kumbalam bridge take straight path to Edapally. Bay Pride Mall in Kochi, Kerala is one the best shopping Malls in Kochi. Bay Pride Mall located near the Cochin Marine Drive. This Mall itself creating revolutionary step in the life-style of people. Here the complete guide that helps to visit Bay Pride Mall. 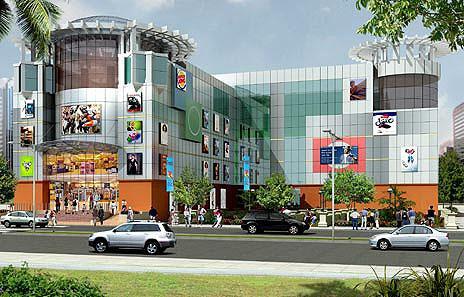 Focus Mall is a shopping mall located in Calicut(Kozhikode) which is one of the best shopping mall in Calicut. Read this to get way to focus mall from Calicut new bus stand and railway station, branded shops in focus mall and address, phone numbers and email address of focus mall. Oberon Mall is a shopping mall located in Kochi, Ernakulam. Read this to get how to reach Oberon Mall from Ernakulam bus stand and railway station, branded shops in Oberon Mall and address, phone numbers and email address of Oberon Mall. Online booking and tele booking of Cinemax theater is also given here. Food circles and spice route restaurant are also provided here. Abad Nucleus Mall situated in Kochi is the first LEED certified gold rated mall in India.The brands available in the mall,entertainment and other user friendly facilities are also included in this article. Road and Rail transportation details to Abad Nucleus mall also given here. Here read the details of the biggest mall in Kerala, Gold Souk Grande situated in Kochi city. The mall is a complete shopping venue with branded shops. Here you can get an overview about the mall through this article.